Part of this discussion has included what privacy means to people using online tools in 2009. Some think that people don't care about privacy, some that folks have no (or should have no) expectations of privacy, and others think that people care very much about their online privacy. Fortunately, to help us learn more about just what privacy means, Patricia Abril and Avner Levin published a paper in the Vanderbilt Journal of Entertainment & Technology Law on privacy perceptions in online social networks. The team surveyed 2,500 young adults between the ages of 18 and 24 about the personal information they post online, what they do to protect their information, and any concerns regarding their personal information. They reported that sharing information on social networks, and allowing other to share information about you, creates vulnerabilities, and that people know that they are potentially vulnerable. 72% have adjusted privacy settings to restrict some groups of people from accessing their profiles. More than 60% believe that they have taken sufficient steps to protect themselves. 42% said they have read social networking sites' privacy policies. Only 22% were not concerned that information about them (photos, videos, comments by others about them) could be created and posted by others. 67% said that they were were most concerned about potential harm to their image or reputation. 82% said that it would be inappropriate for employers to require them to "friend" a manager. This young cohort appears to be both careful and realistic about their privacy. They are most worried about privacy lapses that could affect their reputations. And they want to keep some sort of firewall between their social selves and their work selves. Based on their research, Abril and Levin created a concept of "network privacy." We call this notion network privacy. According to network privacy, information is considered by online socializers to be private as long as it is not disclosed outside of the network to which they initially disclosed it, if it originates with them, or as long as it does not affect their established online personae, if it originates with others. [online social network]s, as businesses profiting from socializing online, are best positioned to offer online socializers, often the young and vulnerable, effective protection in accordance with their notion of network privacy above and beyond regular measures of personal information control, and they should be required to do so.--Read "Two Notions of Privacy Online." 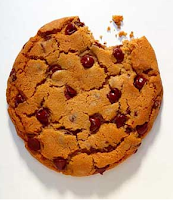 Translating this to the cookies' debate, it seems that people may be less concerned with the mechanics of being "tracked" except when any "tracking" would reflect poorly on them.